The 3rd edition of the Think BIG Advisor Awards for excellence across the 5 pillars of growth that Think BIG advocates, showcased BIG efforts from stellar advisors across the country. 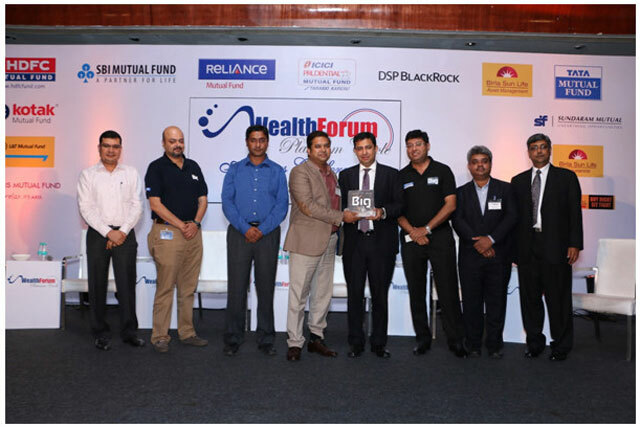 Think BIG - a joint initiative between Reliance MF and Wealth Forum, encourages advisors and distributors to scale up their businesses in a rapid yet sustainable basis. Our winners this year showcase exactly how to do this. 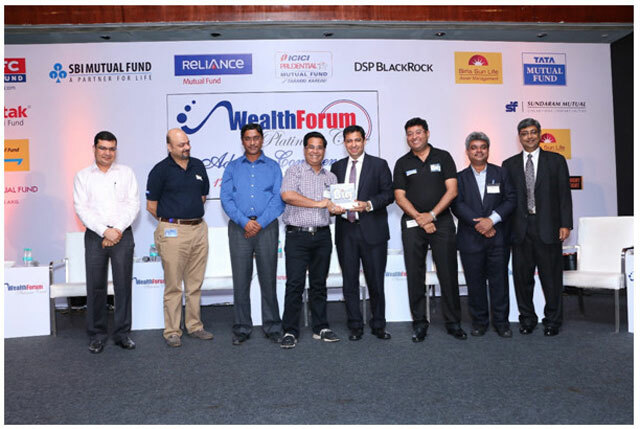 The core proposition of Think BIG - which is a joint initiative between Reliance Mutual Fund and Wealth Forum - is to encourage and enable IFAs to rapidly scale up their businesses in a robust and sustainable manner. Think BIG encourages IFAs to discard an incremental approach to growth and shoot for quantum leaps instead. Can I grow my practice 10 x in the next 10 years? That's the question Think BIG encourages you to ask yourself, that's the question for which the Think BIG microsite on Wealth Forum provides some answers to. 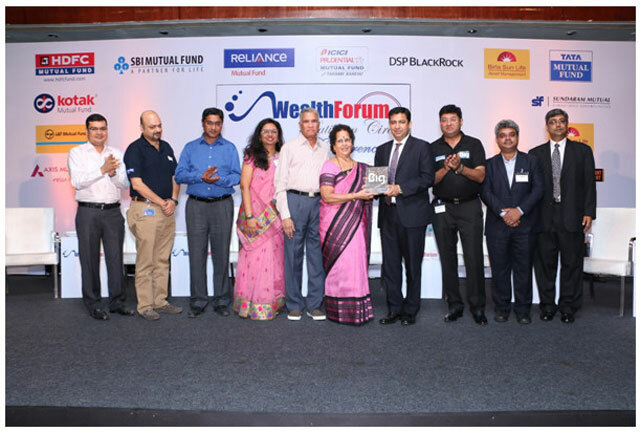 Two years ago, Reliance Mutual Fund and Wealth Forum instituted the Think BIG Advisor Awards to recognise IFAs who embody the spirit of Think BIG, IFAs who are champions at the 5 pillars of growth that Think BIG advocates. 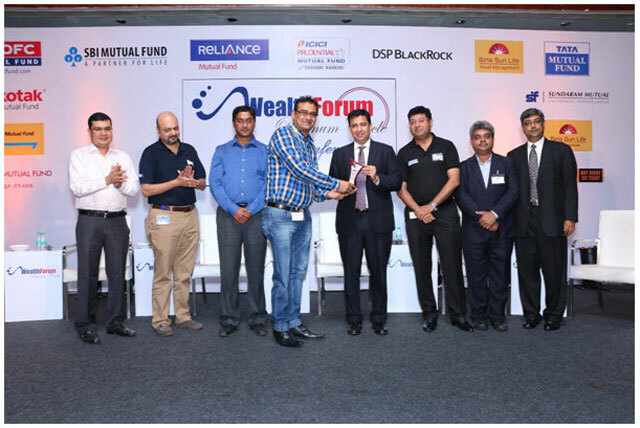 The third edition of the Think BIG Advisor Awards were given away by the top management of Reliance Mutual Fund - including its CEO, Sundeep Sikka, its Deputy CEO, Himanshu Vyapak and its National Distribution Head, Saugata Chatterjee along with Wealth Forum's Vijay Venkatram at a special session during the 6th annual Wealth Forum Platinum Circle Advisors Conference, which was held in Mumbai on July 17th and 18th, 2015. The Think BIG awards recognize IFAs who have demonstrated considerable success in each of these 5 pillars and therefore serve as role models for the wider IFA fraternity. Through the Think BIG Advisor Awards, we seek to not only reinforce Think BIG, but also the 5 pillars of growth that Think BIG advocates. We hope that the achievements of our awardees will inspire all IFAs to embark on the journey to Think BIG and grow BIG, and for those who already are in the midst of this journey, we hope this will inspire you to redouble your efforts and show you how some of your peers are successfully making this journey. A word on the process that went into these award nominations. 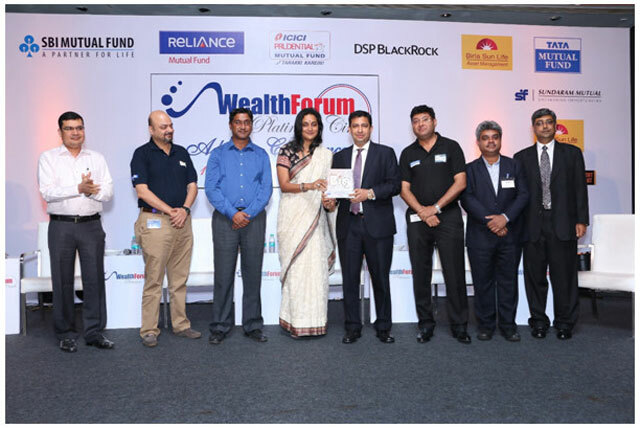 Reliance MF invited self nominations from advisors for all the categories of awards, and received a large number of responses from advisors big and small from all over the country. 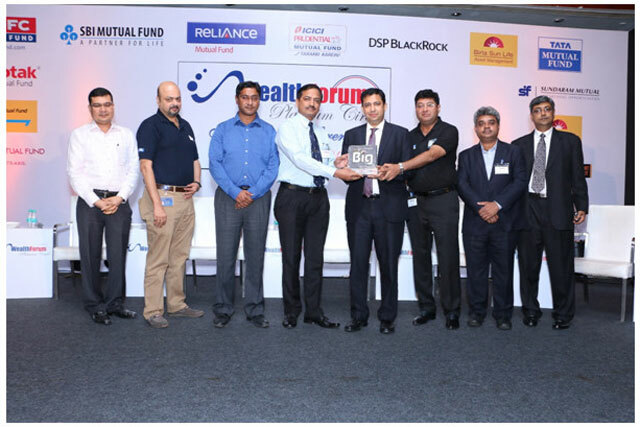 A panel comprising representatives from Reliance MF and Wealth Forum went through these nominations and agreed upon the strongest nominee for each category, based on demonstration in their businesses, of the 5 attributes which collectively enable you to Think BIG. We have two winners in the category of strategic vision this year. Our first winner is an advisor who has over 30 years of experience in this profession. He is based in the small state of Goa - a state that has historically been very conservative in its investment attitudes. When mutual funds first came into this country, this gentleman saw a potential from this product that few others saw, in terms of its ability to generate long term wealth and help Goan investors actually beat inflation in the long term. Getting conservative PPF investors into equity funds was difficult to say the least, but he persisted with a single minded approach and an unshakable belief that he was doing the right thing for his clients. Today, with a mutual fund AuM in excess of Rs.400 crores from this small market of Goa, and with close to 15% of all active SIPs across the state coming from his firm, this advisor's strategic vision stands fully vindicated. And, if you thought that after 30 years in the profession, he would be preparing to gently ride away into the sunset, well think again. To increase his client base from 3700 to 6000 by 2020. Winner: Think BIG Advisor Award for Strategic Vision : Hari Kamat from Goa. The second Think BIG award for strategic vision goes to a firm that set its sights far beyond the shores of this country. They don't want to be known as one of the most respected financial advisory firms in India - their vision is to be seen among the most respected advisory firms in the world. The promoter of this Mumbai based firm came back to India in 2004 after a stint at a US based banking and financial technologies product company, determined to set up a financial planning service in a market that was still waking up to this new proposition. Honest financial planning was the simple proposition that he began offering - and that continues to be the core proposition even today. The period 2008 to 2014, which was a very difficult period for the financial services industry, was in fact the big growth phase for his company. His proposition of honest financial planning resonated with investors scarred by the exuberance of the previous bull market and the subsequent crash. His team size grew from 10 to 60 in this period. So, how far is this firm from achieving global recognition, which it has set as its vision? Not very far - the firm was shortlisted for the Wealthbriefing Asia Awards for 2013, came in as runner-up in the same awards event in 2014 and who knows, might just win it this time! Winner: Think BIG award for strategic vision: My Fianncial Advisor, Mumbai. Amar Pandit of My Financial Advisor was travelling overseas. However, his parents were kind enough to accompany Chitra Iyer, COO of the company, to receive the award from Sundeep Sikka. A vision can be translated into reality only when you take the first step of enhancing your and your team's skills to become capable of delivering at the level your vision demands. This award is given to advisors who set an example on upskilling themselves to reach their goals. Our winner is a person who came into the profession of financial advice only 5 years ago, after a distinguished career of 27 years in the Armed Forces. He set up an advisory firm to help army families manage their finances better. But, he didn't rely just on old Army connections to win business. He decided early on that his firm will achieve and maintain the highest levels of professional accreditation in the new profession he embraced. Accordingly, he qualified as a Certified Financial Planner and got his firm registered with SEBI as an Investment Advisor, complying with the highest levels of fiduciary responsibility laid out in our country. He has a team of 12, comprising largely CFPs. Upskilling for him doesn't stop just at himself, his team and his firm. In the last month alone, he has addressed over 1000 army personnel across the country, sensitizing them about the need to manage their finances better. In the last 4 years, his firm's AuM has grown from Rs. 1 crore to over Rs.65 crores, and is looking set for much much more in the years ahead. 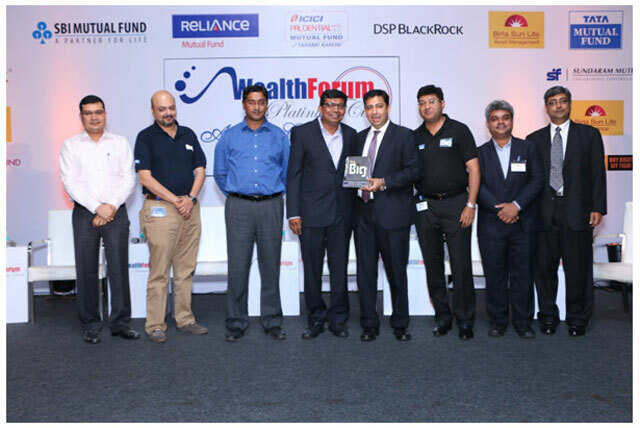 Winner: Think BIG Advisor Award for Upskilling : Colonel Sanjeev Govila of Hum Fauji Initiatives. You can dream BIG as an entrepreneur, but your business can only become BIG when you are able to get a high quality team to give wings to your dream. You need to be able to attract and retain high quality talent, in a profession where people are your most valuable asset. And people will not be with you only for money - they remain with you for years and decades only when they believe they belong - when they take pride in what they do - and when you as the entrepreneur, create such an environment for them. Our winner this year is an entrepreneur who recognised this very early on. From day one, he never gave revenue targets to his RMs. No revenue targets meant no pressure on generating income, but a high responsibility on doing the right thing for clients. He created a team of specialists - separate experts for bonds, for equity and ETFs and for mutual funds - who give inputs to RMs on products and markets. He has 12 RMs today - two of whom have been with him since inception - that's more than 20 years, another 2 have been part of his team for 15 years and the rest joined 7 years ago and are still with him. Why do his RMs stay with him? Because of the high self esteem of working for a firm that is known for unbiased advice, a firm that's hugely respected in the market. And because this entrepreneur has evolved a simple formula to enable his team to share in the growth of the firm. His firm's mutual fund AuM is in excess of Rs.600 crores of which equity is close to Rs.400 crores. There's another Rs.700 crores in retail bonds and a much larger portfolio in wholesale bonds. His team has certainly given wings to his dream of creating a BIG firm. As our winner of this year's award puts it: "My motto is simple: first, my clients must be happy, then my team must be happy. Only after that, Ashish must be happy"
To scale up your business beyond what you can personally manage, you need to create clear, repeatable processes and get your team to adopt them diligently. Technology is a big enabler in this regard. Advisors who understand the importance of creating processes and adopting technology to automate these processes, are often the ones who scale up rapidly and seamlessly. Our winner this year is a great example of an entrepreneur who understands this very well. Back in 2004, he created processes for his firm's client engagement and created three departments in his firm: Plan, Invest and Track. He then looked around for software solutions that could automate his processes. When he couldn't find a suitable solution, he invested in a start-up firm that created just the solution he was looking for. Today, there are over 2000 IFAs who are using the readymade version of this solution. He introduced the concept similar to what we now have from leading fund houses called Distributor Initiated Transactions (DITs) - except that he did this in 2006 - much before any fund house came up with such a solution. His product emailers to clients, right from 2006, had a click through option from where clients could invest into the fund being promoted, quickly and conveniently. His custom built software platform has a number of high end CRM features that enable him to manage client relationships effectively and efficiently, without having to significantly increase team size to keep pace with business growth. For his pioneering efforts in creating and automating processes and enabling a number of IFAs to do likewise, this year's Think BIG Advisor Award for Process & Technology goes to Abhinesh Kumar of Infinity Finserve, Lucknow. All your plans and processes will be of no avail if you do not have a sharp focus on execution and implementation. You need to have a sharp focus on getting things done, on finding solutions when you come across road-blocks, on single minded pursuit of plans you have made. If you have chosen to run a single advisor firm, you need to train yourself to do adequate justice to all aspects of your firm and not just the one that you are naturally strong at. If you are managing a team, you need to be able to transcend from doing to getting things done - from being in the business to on the business. In the 3rd edition of the Think BIG awards, we recognized two advisors in this category: one who runs a single advisor firm and the other who manages a team. Our first winner in this category is a lady who is one of the mostwell known, well regarded and popular IFAs in the country. She also happens to run one of the largest IFA practices in the country, with an AuM in excess of Rs.500 crores, despite maintaining out of choice, a single advisor set up. She is well known for her meticulous fund research and intensive interactions with fund managers, she is well regarded for her ability to spot trends and take contrarian calls. Her equity conviction is among the strongest that we have seen in the advisory fraternity, and she makes sure this conviction is transmitted into client portfolios of the 100 families who have entrusted their savings to her. She diligently archives minutes of every client interaction, personally supervises transaction execution and client reporting and never misses out on keeping clients informed regularly. Not satisfied with software solutions available in the market, she created her own application which meets her exacting requirements for fund analysis and client reporting. Her clients know that she is always there for them, especially when markets turn choppy and nerves get frayed. She can't remember the last time a client left her: such is her track record in client retention. As if that's not enough for a single person to handle, a few years ago, she plunged headlong into co-creating what is today the largest pan India IFA association - FIFA, and has somehow taken out enormous amount of time to take up industry issues and criss-cross the country meeting and motivating IFAs in several FIFA knowledge forums. Winner: Think BIG Advisor Award for Execution Excellence: Roopa Venkatakrishnan, Mumbai. Our second winner in this category is a popular speaker at our Wealth Forum conferences, who establishes an instant connect with people with his earthy wisdom and infectious enthusiasm. He runs the largest financial advisory firm in Ranchi, which is now one of the largest in Eastern India. There are many instances that showcase his execution excellence - but we are going to highlight just one. Two years ago, when his SIP book was Rs.30 lakhs per month, he decided to make SIPs as the focal point of his firm's efforts. He set himself an ambitious goal: to increase his SIP book to Rs. 1 crore by March 2015 and then to 2 crores by March 2016. He created a high impact marketing campaign which included a very active social media presence, innovative pamphlets and extensive education sessions to bring in new clients and simultaneously launched an extensive upselling initiative with existing clients. A SIP for every family member became his mantra as his team went about convincing all clients why they needed to have SIPs for every member of the family. He stopped sending monthly portfolio statements that encourage short term oriented conversations, and instead focused on highlighting goals and achievement of goals. With a 360 degree effort across marketing, sales and service - all focused on the key goal, it is little wonder that he has been able to ramp up his SIP book from 30 lakhs 2 years ago to Rs.1.3 crores today. He is absolutely certain that he will meet his target of a Rs.2 crore SIP book by March 2016 - which incidentally will be among the largest SIP books in the IFA fraternity, anywhere in the country, including the big metros. Winner: Think BIG Advisor Award for Execution Excellence: Pradeep Kumar Jain, Ranchi. 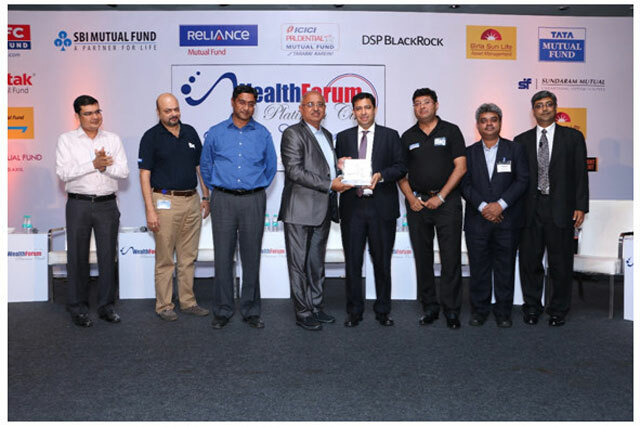 The session ended with one final recognition - a special commendation that is aligned with the BIG idea that Himanshu Vyapak spoke about in the session: the retirement business. We have with us an advisor from Jaipur who has taken up retirement planning as a key proposition for his firm. Being enthusiastic is one thing, delivering results is quite another. This advisor, in the last 6 months, has already drawn up over 300 retirement plans with investments in Reliance Retirement Fund. He has a target of completing 1000 retirement plans and is well on his way to achieving this. For his remarkable efforts in getting investors to plan for their retirement and invest wisely, this special commendation on Thinking BIG in the retirement space goes to Rajesh Sodhani from Jaipur.